Celeste Industries Corporation is a global specialty chemical company focused on the development of value added cleaning, maintenance, and odor control products serving the aviation market. We work with airlines and aircraft OEMs to develop improved maintenance solutions; by combining our own expertise in cleaning chemicals and applications technology with modern scientific advancements, we are able to quickly develop complete system solutions for difficult cleaning, maintenance, and odor control tasks. At Celeste, we blend together chemistry and creativity to bring the latest and greatest cleaning technologies and programs to our customers. Our portfolio of products includes a wide range of products from toilet line cleaners and descalers to hand soaps and air fresheners. All of our products meet the specific requirements of the aviation industry and are unmatched in quality and cost effective performance. Our product portfolio is composed of water based chemistry and green solvents, all of which meet industry material compatibility testing and standards. We pride ourselves on providing safe, thoroughly tested, and effective high-quality products that meet customer needs. Our leadership is built on a foundation of commitment to our customers. Working hand-in-hand with customers, we’re able to understand unique performance drivers and rapidly design, develop and commercialize solutions to meet those needs. Safety – Our top priority every single day is safety, nothing is more important to us than the health and safety of our employees, the environment, and the individuals that use our products. Sustainability and the Environment - We are dedicated to providing the best performing water-based products to our customers, that are safe and environmentally friendly, by using components and processes that are sustainable. Our Employees – At Celeste, we combine an entrepreneurial spirit with a culture of individual support that allows each employee to reach their full potential. Teamwork – Our greatest asset is our team; we start with a foundation of robust business processes and leverage our individual areas of expertise to achieve our goals. Total Quality - We are committed to continuous improvement in all aspects of our products, services, and business processes. Business Ethics – We strive to be fair, honest, and consistent at all times. 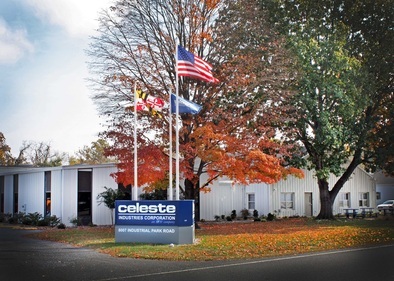 Celeste was founded by the Granville family in 1946 in Wilton, Connecticut. The company grew as a perfume manufacturer through innovation in both aerosol perfume and stick cologne technology to the chemical company it is today. During the 1950s, the company diversified into non-woven wipes for hospitals and toilet chemicals for government bomb shelter programs. Through product and market transitions, Celeste’s toilet chemical technology evolved through military aircraft applications to commercial airlines. From this foundation of cleaning and odor control, the company broadened its product portfolio to encompass hard surface cleaning, closed system cleaning, disinfecting and sanitizing, potable water quality, and hand care. Today, Celeste serves most of the world’s commercial airlines with exceptional customer service and is recognized as a leading innovator of chemical formulations to meet the ever increasing demands of the global aviation market.